It was puppy love at first sight! Chris Evans shared a heartfelt video documenting the first time he met his rescue dog, Dodger. 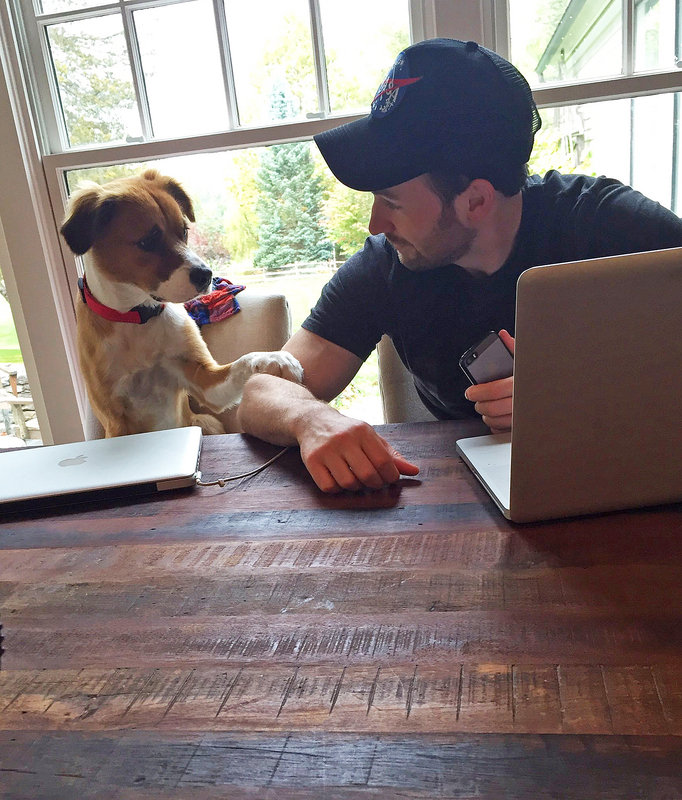 The Captain America star, 36, posted the sweet throwback clip via Twitter on Wednesday, April 11, in honor of National Pet Day. Evans frequently shares adorable videos and pictures of Dodger playing with squeaker toys and fooling around. Last November, The Avengers star tweeted a cute video of the canine howling to the tune of “The Lion Sleeps Tonight” as he clung onto a stuffed lion. He also sent fans into a frenzy by sharing a heart-melting video of himself reunited with the pup after “10 long weeks” of filming. In the weeks leading up to their reunion, Evans tweeted many photos of the pair cuddling and messing around. Talk about a man’s best friend! In July 2017, Evans posted a calming clip of Dodger enjoying nature. “My dog is still a pure, brand new soul, enjoying nonverbal bonds of love + acceptance w pretty much everything,” he exclaimed.